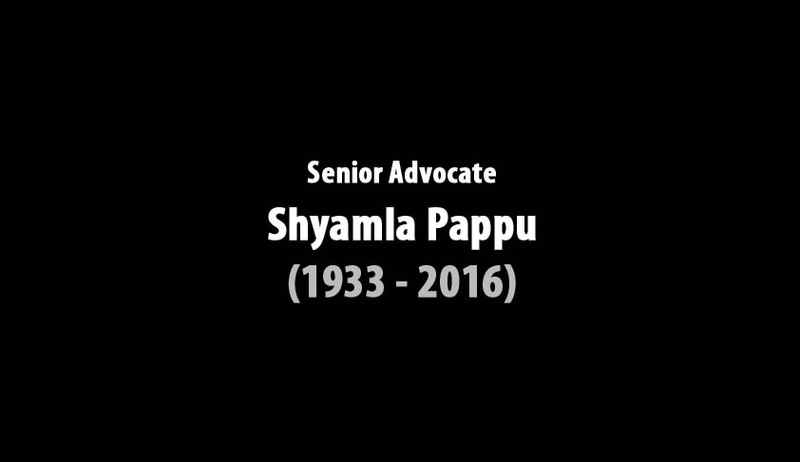 A distinguished lawyer and Padma Shri recipient, Shyamla Pappu, passed away on Wednesday at the age of 82. The last rites will be performed on Friday, her family said. Besides an illustrious career as Supreme Court counsel, she was a member of the Law Commission in 2008-09 and made noteworthy contributions to the development of jurisprudence in the country. She was known for being a champion of women’s rights and for volunteering her services in a ‘rights’ case in case of lack of organisational funding. She was also consequential in the drafting of the amendment of divorce by mutual consent, when there is an irretrievable breakdown of marriage, and also argued in several sensational cases, including the Mandal Commission report on reservation for backward classes. An alumnus of the Miranda House of the University of Delhi, she was a member of the Supreme Court Bar Association of India and a former member of the Independent Commission on Development and Health in India (ICDHI). She also served as a member of the Governing Council of her alma mater, Miranda House, during 1973–74. She was awarded with Padma Shri, the fourth highest civilian honour, in 2009, for her contributions to society. The octogenarian was a woman of conviction and honour. She stood for the rights of people and raised her voice against injustice. Her absence has left a void, but a life for a cause leaves behind priceless lessons and sets examples. She shall always be remembered for her invaluable contribution to the society.